But at the same time, one could also feel that the director post has been somewhat taxing. “I had a nightmare last week. In the dream, the first clarinet Cho Inn-hyuck, who is also a close friend of mine, came out and said he was pulling out of the festival. I remember being frustrated and worried about who to contact and how to substitute him,” Son said. She started her first journey as artistic director in March this year. PYMC opened with a concert at Alpensia Concert Hall. The very first artist to perform was Chinese violinist Ning Feng, the winner of the 2006 International Paganini Competition in Genoa. 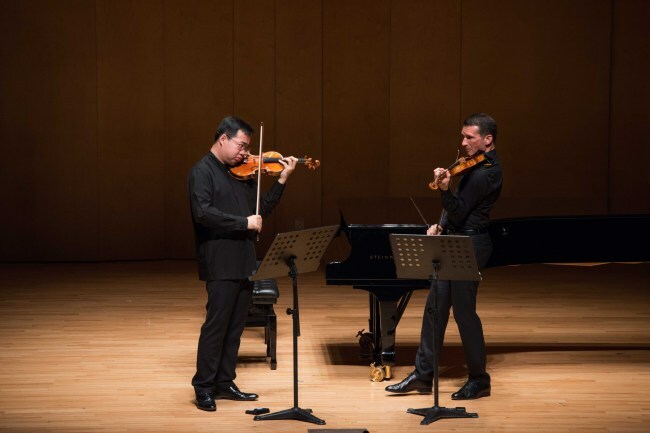 The first work the Chinese violinist performed was Nathan Milstein’s “Paganiniana,” violin piece comprises of Jewish violinist’s variations on Paganini’s 24th caprice. Following “Paganiniana” were Sergei Prokofiev’s Sonata for Two Violins in C major op. 56 performed by violinist Ning Feng and violinist Svetlin Roussev and Brahms’ Trio for Piano, Violin and Cello No. 2 in C major, Op. 87 by violinist Ning Feng, pianist Antti Siirala and cellist Leonard Elschenbroich. After the intermission, pianist Kim Sun-wook played Debussy’s “En Blanc et Noir,” together with Antti Siirala. Pianist Freddy Kempf then brought a powerful performance of Dvorak’s “Quartet for Piano, Violin, Viola and Cello No. 2 in E flat major, Op. 87, together with violinist Boris Brovtsyn, violist Maxim Rysanov and cellist Alexander Chaushian. The 3 1/2-hour evening concert’s finale was marked by Schubert’s Trio for Piano, Violin and Cello No. 2 in E flat major, D 929. 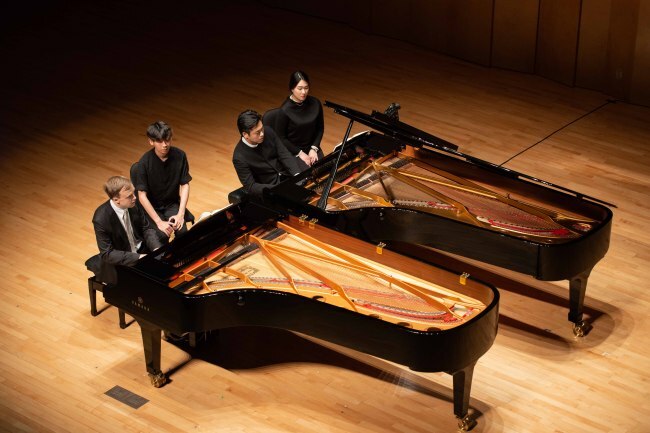 One of Shubert’s most famous trio compositions -- yet never performed in Pyeongchang – the piece was played by pianist Kim Sun-wook, violinist Clara-Jumi Kang and Cellist Kim Doo-min. The musical works included in the very first and second concerts this year comprise of those that have never been performed at the festival, which was also the director’s decision. Saying it was still a bit awkward to see the artists performing from the auditorium, pianist Son will perform onstage. On Saturday, Son will perform Rachmaninoff’s Concerto for Piano and Orchestra No. 2 in C minor, Op. 18, accompanied by the Festival Orchestra led by conductor Dmitrij Kitajenko. In 2015, Son performed Rachmaninoff’s widely acclaimed work with Kitajenko the Tonkunstler Orchestra in Vienna. Also to be played by pianist Son are Beethoven’s seven variations on the duet “Men who feel the call of Love” from Mozart’s “The Magic Flute” on Aug. 2 at Alpensia Concert Hall. “I personally chose the piece as part of "A Grand Partita" concert because Beethoven is the composer who has succeeded Mozart’s spirit the most,” Son explained. The Thursday concert will comprise compositions by Mozart himself, as well as work by other composers that have a close relationship to Mozart, such as Salieri, Bach and Beethoven. Having done many things in just a couple of months, Son still seemed to be seeking more in the future. “I want this summer music festival to become a landmark here in Gangwon Province,” Son said. 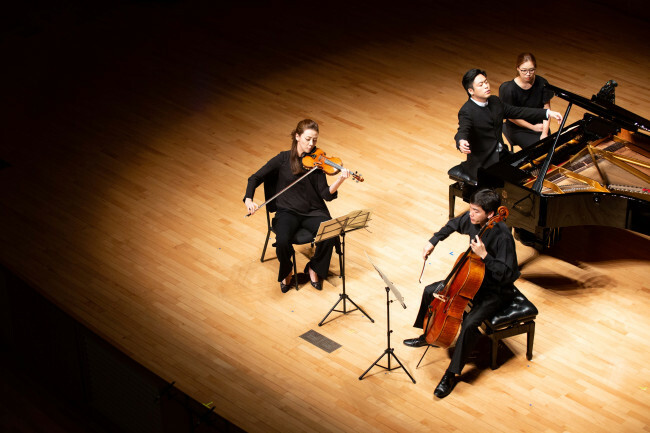 “I hope it becomes a platform where Korean classical music performers can offer what they have, as well as a place that can help various kinds of classical music to spring. Instead of just highlighting soloist-oriented performances, I hope MPyC can offer different spectrums of classical music. The festival orchestra has been newly formed in that respect. I thank the artists for coming here with the same cause,” Son added.